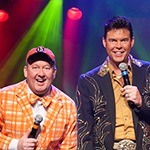 "From the opening of most of Branson's shows, attractions, and other activities to boating, swimming, and other aquatic sports and activities on Table Rock Lake, Branson's exciting 2016 season comes roaring out of the gate during May," said Preston Garrison, the Operations Manager for the Branson Tourism Center, one of Branson's largest providers of tourism services and information. It's one of the most exciting months of the year with adventure, excitement, and entertainment at every turn," he added. 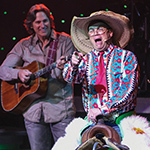 Enjoy the best of Branson with the Billy Dean & the Steel Horses Special for as little as $229! In this fantastically entertaining package you receive a two night stay, for two adults, in one of five great Branson hotels; Days Inn shepherd of the Hills, Gazebo Inn, Dutton Inn, Ozark Valley Inn or Scenic Hills Inn (choice based on vacation dates). You will also get two adult tickets to see Billy Dean in Concert with Jarrett at the Starlite Theatre, a gourmet gift basket, and a Branson Guest Card Savings Book. If you add an extra night to your vacation, you'll also receive two adult tickets to your choice of one of these great shows: Ayo starring Voices of Glory, Hamners' Unbelievable Variety, #1 Hits of the 60's & 50's too, Duttons, The Blackwoods Morning Show, or Million Dollar Quartet... View package here. 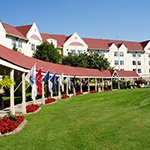 "From luxuriously appointed suites and condos to Resorts, budget conscious motel rooms, and lakeside cabins, finding the perfect place to stay in Branson with your family on vacation is easy," said Annette Wood, Director of Sales and Marketing for the Branson Tourism Center, one of Branson's largest providers of tourism services and information. Wood goes on to point out that although Branson is known for its value priced lodging, finding the lowest price on a given lodging establishment for specific dates is not that easy, unless you use Branson Tourism Center's Lowest Rate Lock Guarantee Program, in which case, it's as simple as making one phone call to 1-800-785-1550. Simply put, Billy Dean is one great entertainer; no gimmicks, just great music, most of it sung by the man who wrote it, surrounded by a great band, and one of the funniest comedians in Branson. 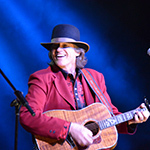 The Billy Dean in Concert with Jarrett show is two of the most musical, unique, funny, and fun filled hours most people, but especially those who love country music, will ever experience. Read entire article here. Then don't miss the Grand Jubilee show; it's all that and then some! 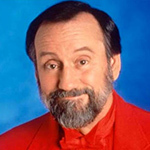 Whenever I go to this show, I am enthralled by amazing vocals, hilarious comedy, the great live music of the "Grand Band," and how the show's emcee and producer, Mike Patrick, ties it all together into an awesome entertainment experience. Read entire article here.